Nelson Mandela: a man whose life left everyone pondering, wondering, being grateful, and asking ourselves the simple question of how do we continue to live up to those principles that he so powerfully stood for. When such an influential leader passes on from the existence that we know, the impermanence of life becomes real. Within minutes of the news, people were stopping and examining their own lives. The integrity of his speech and his actions changed this world. He embodies the kind, compassionate, loving human characteristics that exist within each one of us. How do we know that his character is one that represents us all? Because people of every demographic can relate. Because it’s people like Nelson Mandela that understood what it really meant to tap into the universality of what has us connect, contribute, and shine in the light of the adversities we face. 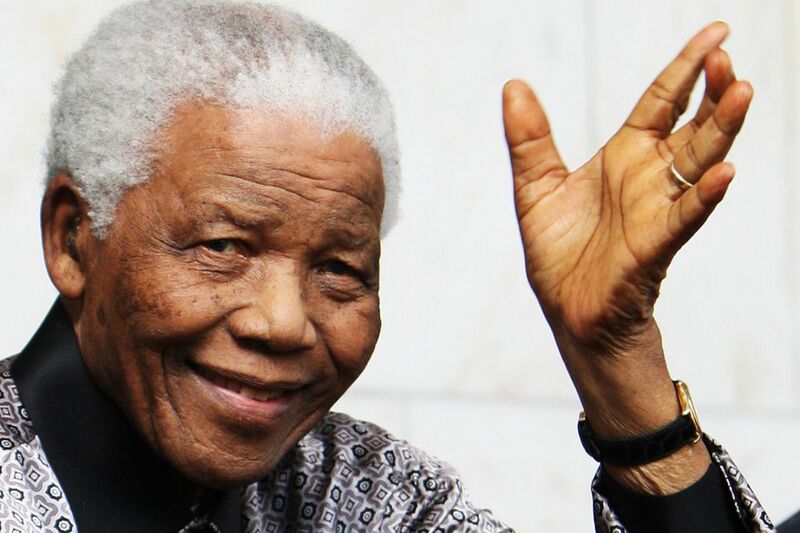 It’s people like Nelson Mandela that remind us that even the very people who cause us suffering are worth forgiving, treating with non-violence, and sticking to what we believe in so that we can bring greater connection and change to this world. The forgiveness and non-violence isn’t about the other person, it’s about our own sense of freedom and clarity in practicing what we preach and experiencing the benefits of it through a sense of empowerment. I have made reference before to the following quote by Alfred Adler. “It is easier to fight for one’s principles than to live up to them”. There is a reason that it is easier to fight for one’s principles than to live up to them. It’s easier because fighting comes from a place of ego, familiarity, victimization and power-based concepts. Standing up for what you believe in and being willing to suffer the consequences of sticking to your words requires faith in yourself, in others, and in the knowing that this world is a safe place in which we can live, love, and be who we truly are. It’s hard to have your speech and your actions match. Yet, we all know intellectually that we and this world would be better off with a little more integrity on all of our behalves. Students fight teachers over having to attend an unwarranted detention and by doing so, they lose the power of their voices. Parents fight against their children’s healthy questioning by imposing their opinions through punishment and by doing so, they lose the opportunity of simply modeling the very respect for which they are arguing. Politicians, prison guards, school administrators, corporate managers, employees, civil servants, house mates, siblings, entertainers, refugees, citizens, spiritual leaders,… we all play various roles in this world. Our identities, our roles, and the way we interact in the environments in which we live is a direct reflection of how we perceive ourselves to have the freedom of being who we are and having our voices heard. Our systems are systems of power and influence. I am not sure that many of us would have been willing to stay true to our words through 27 years of imprisonment. Not because we wouldn’t have wanted to, but because that would have been one of the most difficult of unjust circumstances for the human mind to stay true to a perspective of courage, optimism, and belief in the possibility of equality and freedom. Here is to celebrating and being thankful for the impact of Nelson Mandela’s life and the sacrifices he endured while being true to what we all are capable of: integrity, wisdom, and true kindness toward ourselves and others. Hi Elizabeth! I didn’t notice this comment until now. Happy New Year. Thanks for being such a supporter of my blog. Looking forward to seeing you in the yoga community.